I offer personalized individual sessions and small group lessons tailored to the needs of the students. I teach adults, and my students range from college-level, working adults and retired individuals. Students embrace life-long learning and focus on the fundamentals of drawing and painting. 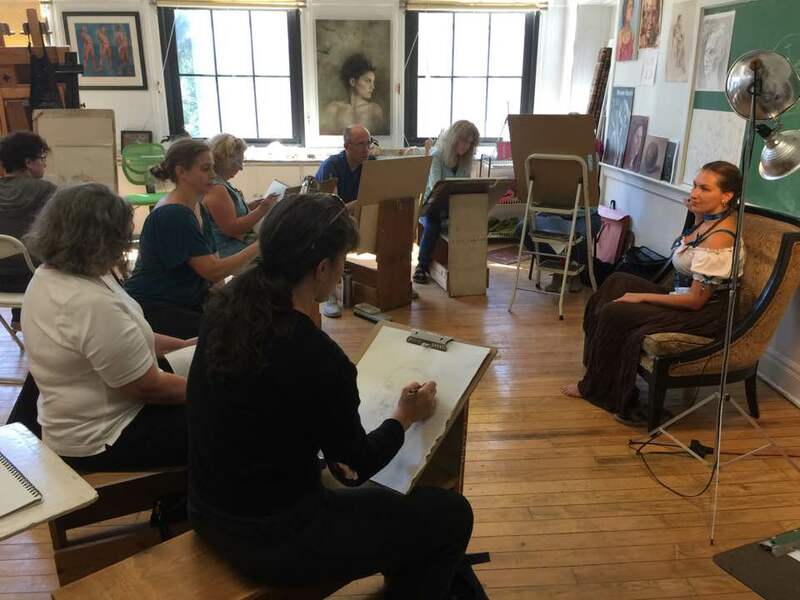 The courses I offer range from beginning drawing, color theory, figure drawing, oil painting and watercolor. I offer classes during the day, evening and weekends. In addition, I offer students a punch card option, so if they purchase 4 classes, they get one free. I have a Masters in Fine Arts (MFA) degree from the University of Chicago, and have been teaching art to adults for over 15 years. I exhibit my work internationally and it is part of many important private collections. What I enjoy about teaching art is helping people to escape to another place, where they can think about space, color, and light. I find that making art is therapeutic, and it enables myself to find a safe place to experiment and to take risks. The repetition and practice of art making often helps people to solve problems and to figure out which direction to travel in life. My role is to inspire, but students get to find their own voice. A wonderful, very knowledgeable painting instructor! Sarah is well-versed in a variety of mediums, has a very approachable teaching style, and her own portrait/figurative and other work is very inspiring. 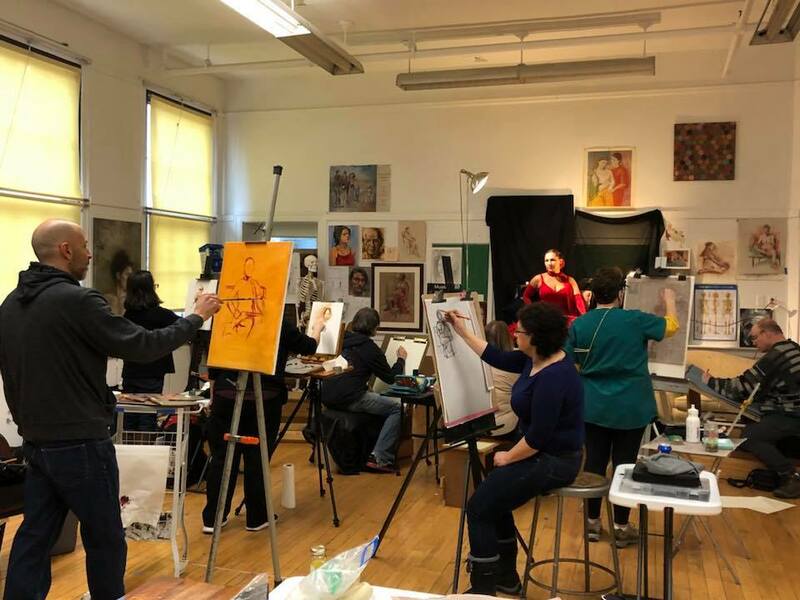 The studio is large and convenient - I would highly recommend this instructor to anyone wishing to further their artistic goals! Compassionate, helpful, and excellent teaching skills, good commeraderie. Sarah gives every student her undivided attention and she knows so much about art and she is a very personable and supportive teacher. Sarah is very knowledgeable and professional. Plus, she’s a great painter. I have an initial consultation with new students to assess their needs. We discuss the student’s former experiences with art to understand the goals each person wants to meet. Some students have very specific ideas of what they want to accomplish. For example, someone might want to learn about the anatomy of the torso. Others need some guidance so I may suggest that they begin with some basic drawing and shading techniques. What I like about teaching adults is that they can be quite specific about their needs and goals. In addition, I speak Spanish. I charge 20 dollars an hour for private lessons. I teach group classes on Thursdays which are 30 dollars for three hours (1 to 4 PM). On Saturday afternoons, I offer drop in figure drawing sessions for 20 dollars. They are also 3 hours long (1 to 4 PM). A model is present, but there is no formal instruction. I offer a punch-card option: if students buy 4 classes or sessions, they get one free. The cards do not expire. Students only pay for classes they attend, so if they miss a class, they aren’t charged for it. I started teaching when I was a teenager. I grew up in the Cincinnati area where was a camp counselor and began by teaching kids how to swim and ride horses. I had always loved art and also taught kids how to paint. I studied art in college, but also taught ESL (English as a Second Language) on the side to fund my education. Once I got my MFA, I found work teaching art to college-level students in Chicagoland. Now I also teaching continuing education classes, and enjoy the freedom from having to give students grades. They are internally motivated! I have worked with a diverse body of students, whose ages range from 16 to 85. As a community college instructor, I teach people of all ethnic backgrounds. Living in Chicago has given me the opportunity to teach people from all walks of life. In addition, I have taught special needs students.